On the Xbox One X, the hardware and software will be tightly integrated allowing the hardware to be fully optimized. The memory will be split up with not all going to the GPU but some will be used as the systems ram. The optical drive that comes with the Xbox is a top of the line piece of hardware that is truly impressive to be included. You could save money on this build if you wanted to go with slower ram, ( Please Note: Ryzen processors do much better with faster memory). The issues you will find with this build will be the optical drive not being able to compete with the optical drive found on the Xbox. The Xbox drive is capable of reading 4k discs. If you will run Windows on the computer that could run you another $100, or you can run any Linux distro for free. This build prices out to $1410 after mail in rebates which is almost $1,000 more than the Xbox One X. Plus add in if you want a Windows operating system and/or a better optical drive. With a stronger 8-core, 16 thread Ryzen CPU you won’t find any CPU bottlenecks. This build also includes the new Samsung 960 M.2 drive offering much fast read and write speeds which will help loading times for games. Included in this build is the new AMD Vega 56 GPU offering a much smoother display especially when paired with a Freesync monitor. This CPU rocks a true 8 core processor with 16 total threads. You will not see any bottlenecking of the CPU with any games you can throw at it and if a game is optimized to use more cores then be ready to see this show its true power. We added another 8GB of ram to make it 16gb to make sure you won’t have any issues running games. With the drive capacity only being 250GB we would recommend running the OS on this drive as well as any games/ applications you mainly use. Anything else you can throw on the 1 TB spinning hard drive also included. AMD’s newest line of GPUs the VEGA series includes the 56 and 64 VEGA. This build includes the 56 version which is capable of running 4k with at least 30 fps. This build we went with a higher quality PSU that was certified platinum and fully modular allowing an easier build time and cleaner cable management. 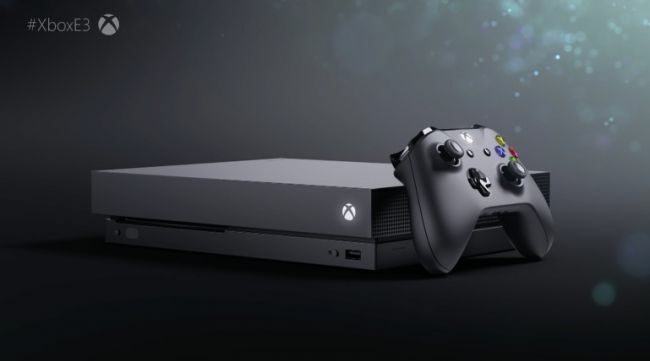 The Xbox One X is priced very well for the amount of power you’re getting. Pair it with a new 4k Freesync monitor and you will really be able to tell a difference. Some say the jump in resolution feels more like going from 480p to 720p rather than the last jump of 720p to 1080p. Do you think you can build a better computer priced closer to $500 ? Let me know and show me what you got!